Austria, a country famous for its mountain railways, trains, musicians, is mostly covered by the alps and so the alpine sports like skiing are very popular. The country has a high standard of living, a literacy rate of 98% and is one of the richest countries in the world by per capita GDP terms. It is the only European Union nation that is not a member of NATO. The country of Arnold Schwarzenegger, Haydn, Schubert, Strauss, and Hitler, boasts the world’s largest emerald in Vienna. The Hofburg Palace in Vienna was home to Austria’s monarchy, the powerful Habsburgs. The palace covers 59 acres with 19 courtyards and 2600 rooms, where now the President conducts state business. The Imperial Silver Collection, Sisi Museum, and the Imperial Apartments make it an unforgettable attraction to visit. The place is a UNESCO world heritage site and famous for being the residence of Prince Archbishops. It is an architectural wonder and the highlight is St. Peter’s Abbey and its church. Wandering among its burgher houses one also comes across the birthplace of the genius composer Mozart. The place where the iconic movie The Sound of Music was shot and which proudly boasts Europe’s last preserved castle, Hohensalzburg, is an awe-inspiring attraction to see in Austria. The picture-perfect postcard town of Innsbruck was the main residence of the Emperor Maximillian I, the seat of the Hapsburg government, and a focal point of Europe. The sumptuous royal apartments, the marble Giant Hall and the painted ceilings throughout make it a scenic beauty to marvel at. The ski resorts, hiking, and bungee jumping help the magic of the town grown on you. The tour of Austria is incomplete without skiing and this town is one of the best places to ski in Austria. It hosts the toughest of all downhill ski races as it is the site of annual Hahnenkamm. The 1,998-meter Kitzbüheler Horn is a delight for the mountain skiers, but the summit can also be reached through cable car via the Pletzeralm. The summit is a breathtaking natural beauty where one gets to see the mountaintop home, Gipfelhaus, a chapel, a restaurant, and an Alpine garden. 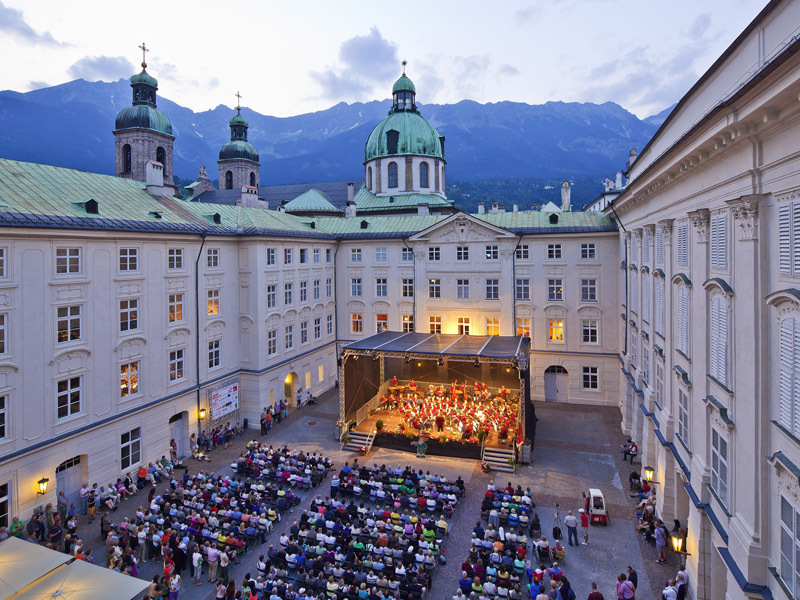 It is Austria’s most favored summer destination. Canoeing, spelunking, pretty churches and the hometown of Ferdinand Porsche, make it a mind-boggling attraction to see. The highlights are the Worthersee lake, the Cathedral of Gurk, and Gmund, the birthplace of Porsche. A UNESCO world heritage site, this rich valley is popular amidst the wine connoisseurs for the best white wines in the world. Resting beside the beautiful Danube River, the valley, famous for its cultural significance and natural splendor, is the best attraction to see in South Austria. Studded with monasteries, castles, and fortresses, the valley offers architectural delights. It is one of the world’s most famous monastic sites. It is an architectural marvel with its 325-meter long complex and spectacular buildings that are laid out around seven courtyards. Perched above the town of Melk and overlooking the Danube, the abbey is a stunning attraction and the tomb of Saint Coloman of Stockerau, the House of Babenberg, and the Imperial Rooms add a bucket of color to the whole place. It is a panoramic road that is one of the most magnificent roads in Europe. Running for 22 kilometers at an altitude of more than 2000 meters, the road consists of a long succession of turns. It gives access to the mountain range of Hohe Tauern, where Franz-Josefs-Höhe is famous across Europe for its spectacular views and offers incredible vistas of the surrounding country. It is one of the best attractions in Austria for natural beauty, rejuvenation, and relaxation. The ski slopes, flawless blue waters of Zell Am See lake and the picturesque Salzburg mountains make the natural wonders grow on you. Cycling along the dreamy lake or swimming in the blue waters one can soak in the scenic beauty of the place. The place might be at number ten, but is a must-visit attraction in Austria. Hallstatt which is the picturesque small town of Austria, known for its long history of salt production from the prehistoric times, is a great place from which one can explore the Dachstein Salzkammergut region, a UNESCO world heritage site. The highlights include the Giant Ice Cave, the Mammoth Cave and the 5 fingers viewing platform which provides an excellent view of the surrounding Alps. Thus, Austria famous for its scenic beauty, splendid cities, historic capital, is one of Europe’s most popular holiday destinations and you must check out our website visafy.me to know everything regarding getting a Visa for Europe.